The study of French can provide a student access to a whole world, a whole culture, and an entire population. More than 220 million people speak French on the five continents. French is the second most widely learned foreign language after English, and the sixth most widely spoken language in the world. With A level French, students can interact directly with the French-speaking world, be it for reasons of travel, culture, or business. French is the international language of cooking, fashion, theatre, the visual arts, dance and architecture. A knowledge of French offers access to great works of literature in the original French, as well as films and songs. The ability to speak French makes it so much more enjoyable to visit Paris and all the regions of France and offers insights into French culture, society, politics and way of life. French is also of immense value when travelling to many places that also speak French, including parts of Africa, Switzerland and Canada. A knowledge of French opens the doors of French companies in France and other French-speaking parts of the world (Canada, Switzerland, Belgium, and the continent of Africa). As the world’s fifth biggest economy and third-ranking destination for foreign investment, France is a key economic player in an increasingly globalised world, and a capacity to speak and read the language with fluency is a hugely attractive asset. 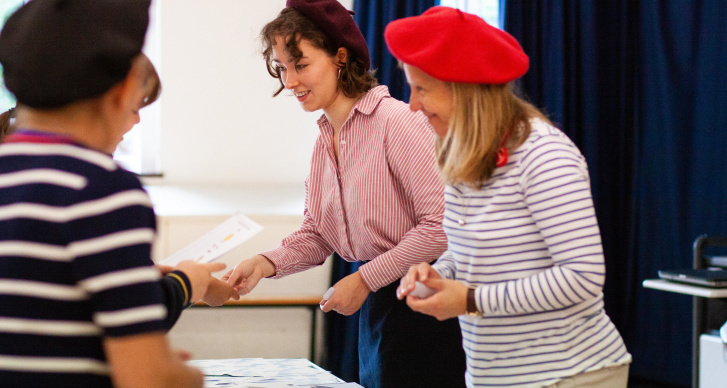 Students studying French A level will build a huge variety of essential skills, such as communication, interpersonal and intercultural interaction, and public speaking. Students will also have the chance to learn about French culture, cinema, literature, fashion, history and politics. For any student interested in studying French at university or business school it goes well with most subjects: English, Classics, Geography, History, Economics and others. With an A level, students studying any subject at degree level have the opportunity to keep their language skills current, or improve them, using university language schools. At Burgess Hill Girls, French A level makes use of interactive and contemporary material, and students will have one-to-one weekly session with the Assistante, to help perfect their pronunciation and fluency. 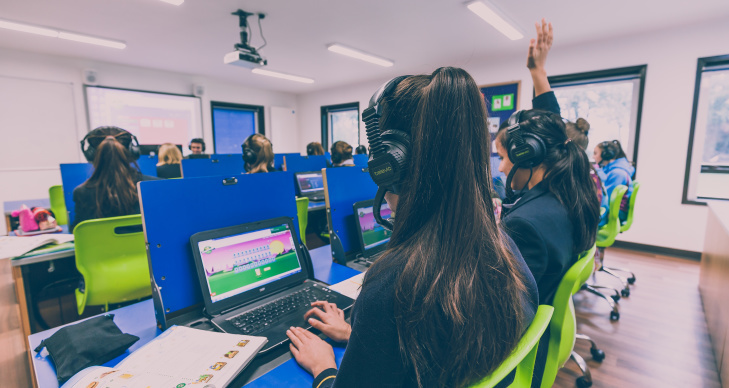 The language lab is an excellent tool to improve listening skills giving girls the opportunity to listen to authentic items of news, watch extracts from French television or study videos. Germany is one of the world’s biggest industrial countries and economic powerhouses. Germany is also currently the United Kingdom’s biggest trading partner in Europe. More people speak German as their native language than any other language in Europe. It’s no wonder, since Germany’s 83 million inhabitants make it the most populous European nation. But not only the residents of Germany speak German. It is also an official language of Austria, Switzerland, Luxembourg, and Liechtenstein. It is the native language of a significant portion of the population in northern Italy, eastern Belgium, the Netherlands, Denmark, eastern France, parts of Poland, the Czech Republic, Russia, and Romania, as well as in other parts of Europe. Despite Germany having the largest number of native speakers in Europe, few people outside the country actually speak the language, which means that the ability to communicate in German is of considerable economic and commercial value. It also allows access to a wealth of intellectual, philosophical, scientific and musical creativity. Studying an A level in German readily complements an interest in history and culture, in current affairs and politics, international relations and law, in travel or tourism, in literature, or in journalism and the media, not to mention the opportunities it allows for studying the primary sources of many of the most significant and influential scientific and philosophical works. It enables students to develop interpersonal and study skills and learn much more about aspects of the societies in which German is spoken. They gain a profound insight into the rich variety of literary and artistic culture and may choose to take advantage of the popular option to study and write about a prize winning film. The learning experience is varied, involving use of the state of the art language laboratory facilities, a regular appointment with a highly experienced German native speaker, discussion of German news broadcasts, and immersion in the rich library of extension materials, DVDs, books and magazines that can take students far beyond the demands of the examination specification. As part of the course’s speaking test, an independent personal research project gives students the freedom to individually investigate, in considerable depth, an area of particular interest related to the German speaking world. Discussion of the findings forms the basis of much of the test and the project hones research and discursive skills. Spanish is the second most spoken language by native speakers in the world, with more than 400 million Spanish speakers in 21 countries, and the British Council has recently ranked Spanish as the most important language British students should learn. With an ever-increasing presence in the global market, emerging economies in the Americas mean that the chance of work and business opportunities from the Spanish-speaking world continue to multiply. In cultural terms, being able to communicate and understand Spanish opens up a whole world of artistic and literary excellence. Artists such as Salvador Dali, Pablo Picasso, Fernando Botero and Frida Kahlo have produced some of the most famous pieces of artwork in the modern era. Writers from Cervantes to Vargas Llosa and García Márquez have enriched global literature, and a total of 11 Spanish-speaking writers have won the Nobel prize for Literature: five from Spain and six from Latin America. For these reasons, and many others, learning Spanish at A level is an immensely valuable and attractive option. At Burgess Hill Girls, Spanish is taught by native speakers and by bilingual staff whose knowledge of Spanish far exceeds the level normally required for teaching at A level. The combined experiences give students an exceptional preparation for the varieties of Spanish. The department is familiar not only with Castilian Spanish, but also Latin American varieties: our students know they won’t get red wine when they order ‘tinto’ in Colombia! university across the humanities and social sciences. 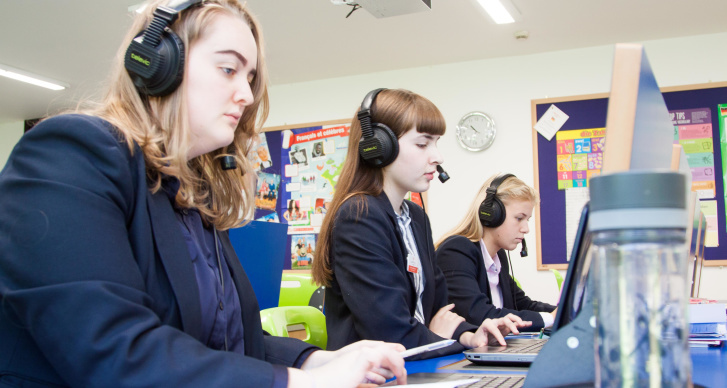 A level students benefit from the use of the modern language lab, which allows several students to talk and interact at the same time, with teachers recording all these interventions. Such technology reinforces the school approach to learning, which focuses on the individual needs of each student. A level students take part in regular speaking sessions with our Spanish language assistant, and engage with activities outside of class, such as ‘café español’, where students discuss the issues they are more passionate about, such as independence movements in Catalonia, or economic mismanagement in Madrid. A level students also take part in a Spanish language immersion trip to Puerto de Santa María on the Bay of Cádiz. During the stay the girls attend Spanish lessons in the morning and take part in excursions and activities in the afternoon, which helps pupils improve both their language skills and their cultural knowledge of Spain. A level Latinists will study a subject that is universally recognised for its academic rigour. They will gain superior skills of synthesis, analysis and evaluation and will have a meticulous eye for detail. The grasp of grammar and skills of literary criticism supports other linguistic pathways. When faced with difficulties, a Latinist will resort to logic and will be adept at asking questions and considering hypotheses to solve a puzzle. As part of a small, vibrant department with plenty of opportunities for leadership and new experiences, life is rarely dull. Some choose to learn Greek in addition, watch Greek Tragedy and attend symposiums. The very popular Classics trip is a further wonderful opportunity. scandalous detail the faults and vices of the enemy, Mark Antony. Roman politics was far from dull! ‘Unhappy one, you will see the bitter funeral of your child!’ (Virgil) This is the story of the devastating loss of the young hero, Pallas. It is surely in the grief of an aged father and in the tragic loss of so promising a youth that the cost of war and empire is truly felt. A serious but moving account with contemporary echoes. We study the blighted romance of Cupid and his mortal lover, Psyche. An allegory for the relationship between the soul and desire, this is also an adventure story told in hauntingly beautiful Latin prose. Language: Students will also gain a wider understanding of Roman Love Elegy, mythology, historiography and Roman history whilst preparing for the unseen translation. Our authors will be Ovid and Livy.